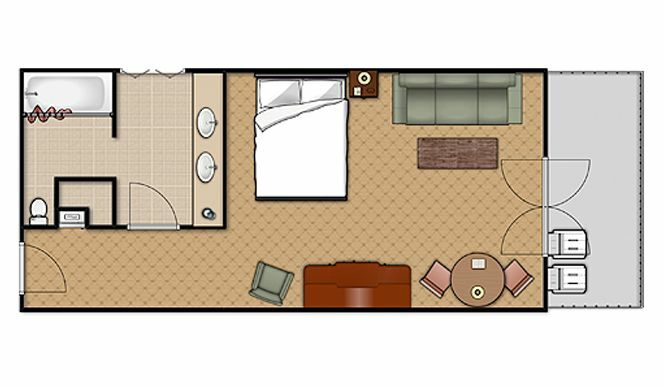 With 370 square feet of comfortable living space, our Deluxe King room includes a king size bed, a sleeper sofa for seating or extra bedding, a large bath with double sink vanity, and a private balcony. 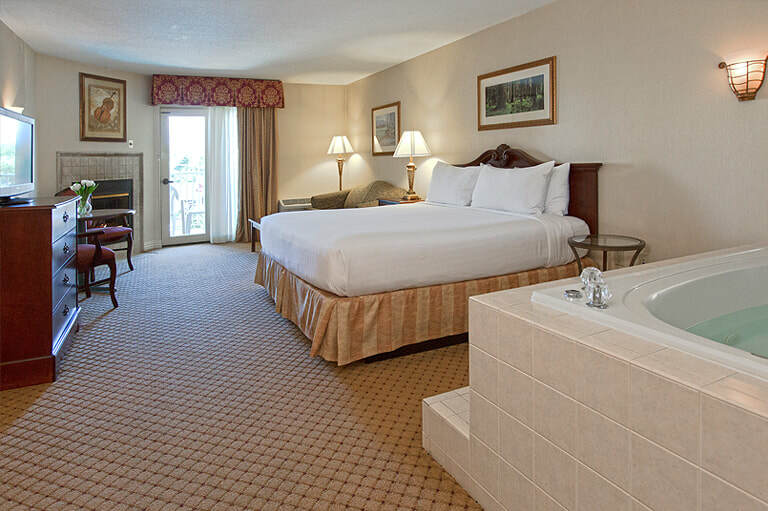 All guests in this room will enjoy the Water Park view with the Pigeon Forge skyline and breathtaking Great Smoky Mountains. "The resort can offer anything you need for a business trip, family vacation, or girlfriends road trip! 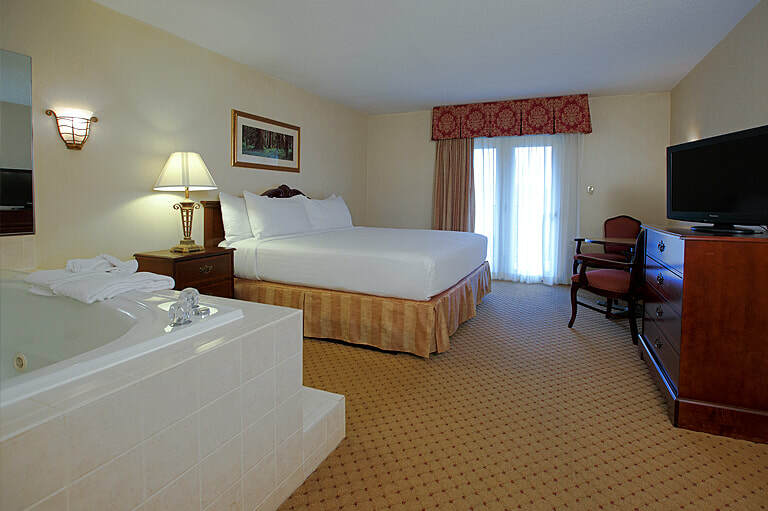 All the amenities and at a great prices! It's close to so many things to do in the area and, located barely off the Parkway, still gives a more private atmosphere. It's an all-around great place to stay."